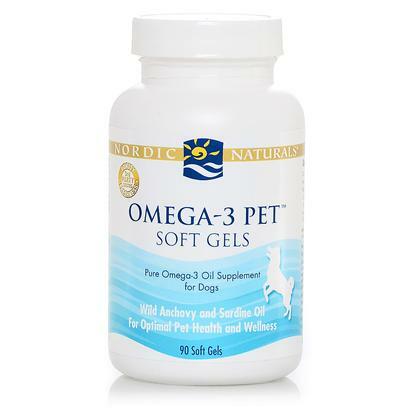 Nordic Naturals Omega-3 Pet Soft Gels product is an excellent source of the omega-3 fatty acids EPA and DHA. Fish oil an important supplement to help support optimal pet health. This product is offered in convenient soft gelatin capsules for home use and traveling with your pet companion. Omega-3 Pet Soft Gel oil is derived exclusively from wild anchovies and sardines from the South Pacific Ocean off the coast of Peru. In 2008, the sustainability of these Peruvian fisheries was ranked as number one in the world.